François-Marie Arouet was a French historian, philosopher, and writer better known by his pen name, Voltaire. He wrote plays, poetry, essays, scientific work, histories, and novels. Voltaire was one of the most influential writers of the Enlightenment. FCIT. "Voltaire author page." Lit2Go ETC. Web. 20 April 2019. 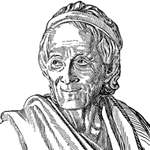 <https://etc.usf.edu/lit2go/authors/199/voltaire/>. FCIT, "Voltaire author page." Accessed April 20, 2019. https://etc.usf.edu/lit2go/authors/199/voltaire/.